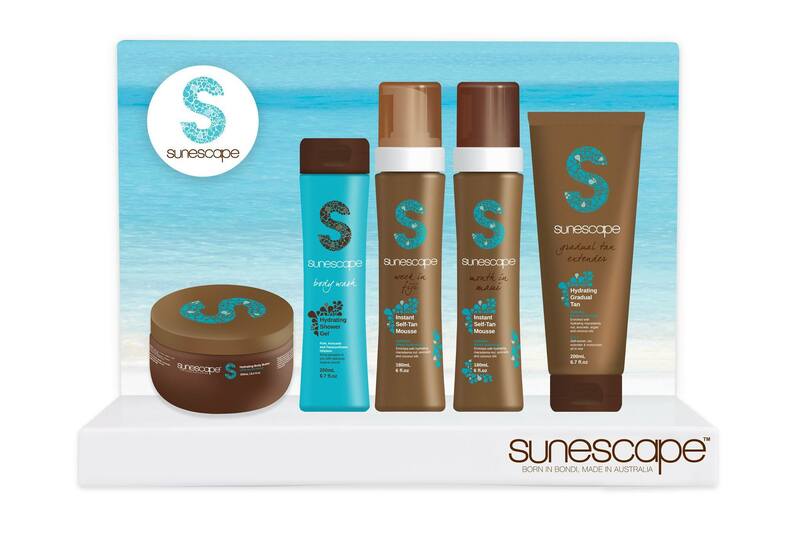 Sunescape’s entire range of Professional and Retail Take Home Products were formulated by a salon owner, for salon owners. Sunescape is all about the product’s performance, and creating raving fans that love the brand and love your salon because of it. We believe that a professional spray tan solution needs to be packaged as beautifully as it performs. By providing your clients with something that looks beautiful, feels fantastic and performs extraordinarily, the profits will follow. If you haven’t already built yourself a profitable tanning business – or if you have, but think it could be better – Sunescape could be your ticket to creating an entirely new profit centre with our professional spray tan solution. Sunescape is a product that out-performs many traditional beauty services. Imagine having 500 clients a week walking through your door, just to get a spray tan. And imagine stocking a brand that was requested by name nine out of ten times. Well, that is a reality for some of our current Sunescape salons. Sunescape was born out of a desire for a professional spray tan solution that provides a naturally bronzed look and is made from natural ingredients that nourish the skin. Gone are the days of streaky orange tones and patchy, fast-fading treatments. Sunescape will give your customers that sun-kissed, “just back from holiday” look that is so sought after in the tanning industry.